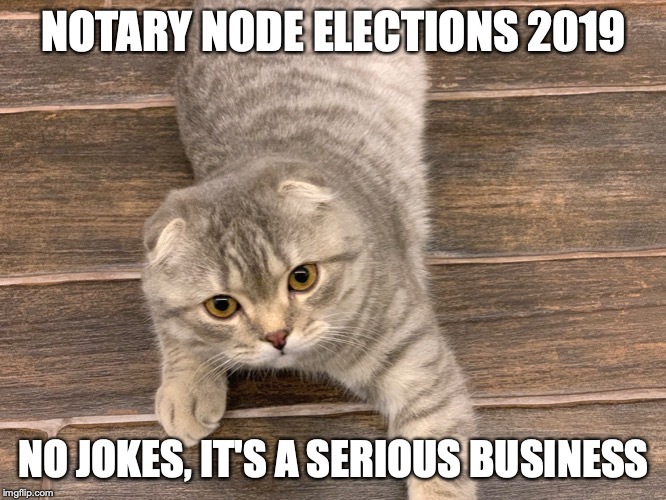 I’m proud to announce I will guide you to this year’s notary nodes elections since now. I will release information as soon as I have it confirmed with others, in a few stages. Please be patient with questions not answered in a first stage. It is a must for each and every existing node team/operator, re-elected node, testnet node, node candidates, dead nodes etc. Perfectly I want each team / team member /organization working with NN network to have it’s dedicated page available all the time regardless of current NN status. Page should include as much information as possible. Please, have some respect to your voters and our following work together. Introduce yourself, list your servers, put some your contacts, PGP signature. Make page nice and interesting with some markdown and pics in your folder. I will reward VOTE bounties those who put some effort on representing himself nicely. Page should be submitted to our repo https://github.com/KomodoPlatform/NotaryNodes as a pull request. Page file should be named strictly README.md inside folder named %yourteam% or %yournick% (lowercase!!) inside folder notarynodes (here: https://github.com/KomodoPlatform/NotaryNodes/tree/master/notarynodes) Any pull requests ignoring this requirement will be declined, not fixed by me manually as last year :) Keeping naming is important as an option to link (e.g. in code) any NN directly to it’s contact data. Having a website, twitter announce or PDF is good, but page is a starting point which should have maximum info. Please, no empty pages with website link or just pubkey/pgp keys. I don’t want to accept such as a respectful candidates. As a last year also - we don’t need any lists or voting websites. Having you folder in notarynodes describing you and your proposed nodes is the only requirement to be candidate. You have your vote wallet transparent address (which you hopefully know you need to advertise) balance at a deadline point to indicate you are winner. Please, have your page ready before April 1st and after that keep it up to date all the time. If you’re not familiar with GitHub pull requests - sad. You should be if you’re a notary node. For other stages spoiler is: election will be almost exactly same as 2018 but with other coin, method proven to be good with no major failures. I wil announce exact dates for suming up re-elected nodes, num of spots to be elected, airdrop, deadline asap. April will be very hot! No central candidates list needed except simple list of folders. I will make one. No private / transparent address mess - how you get and mix up votes is only between you and your voter, we see winners by transparent address/pubkey balance.